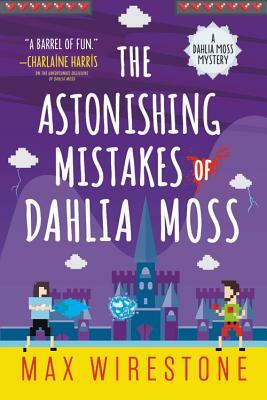 Veronica Mars meets the World of Warcraft in The Astonishing Mistakes of Dahlia Moss, a mystery romp with a most unexpected heroine. You'd think that after I took a bullet in my arm following my last case that I'd be timid about going in guns blazing a second time. But you'd be wrong. I faced down death, and the only bad thing that happened was that I got a cool scar. Which is a like a tattoo, but with street cred. Unwisely meeting up with an internet stalker in real life. Eating a large breakfast before discovering a corpse. Standing uncomfortably close to the edge of a steamboat while musing that nothing bad could possibly happen. That's the thing about a sense of invulnerability -- you usually get it right before things go terribly, terribly, wrong. Max Wiretone lives in Lawrence, Kansas with his husband, his son, a very old dog, and more books than a reasonable person should own. Find him @maxwires.